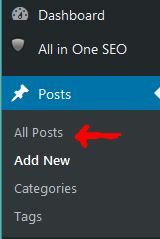 In the WordPress Dashboard – where you would list All Posts – the default is to show all categories in the list. This can be good for some – but for me it makes the list look crowded and it's hard to use that way. This opens up the options to choose some columns, and not others. As you can see in the above pic – it makes that list of All Posts much easier to read! 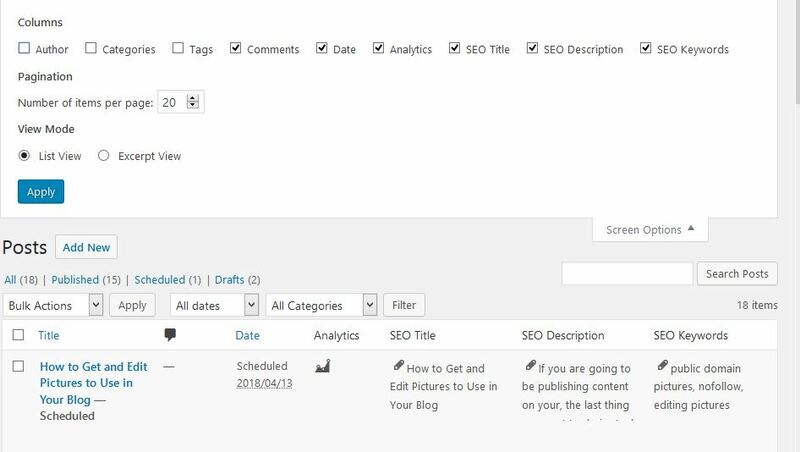 If your posts are “uncategorized” you can go into “Quick Edit” under each post and pick a category. If you have more than one author – you may want to keep that category. 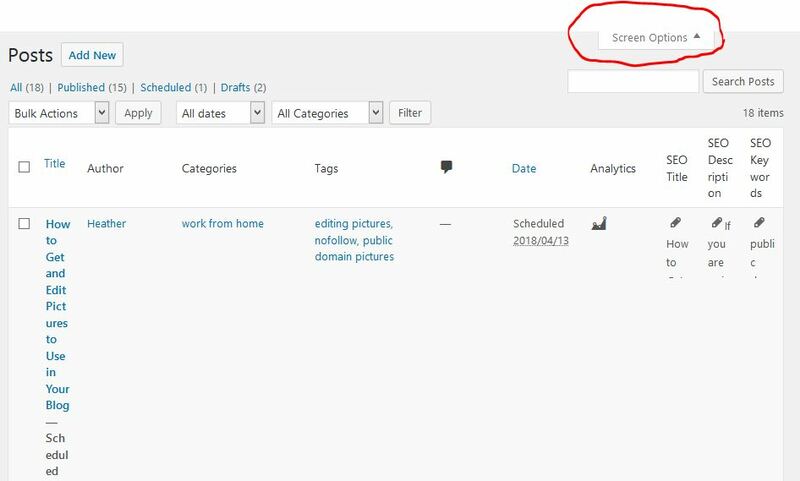 If you author is “admin” go over to the “Users” and edit the user to have your name or a pen name – so your posts are more personable!